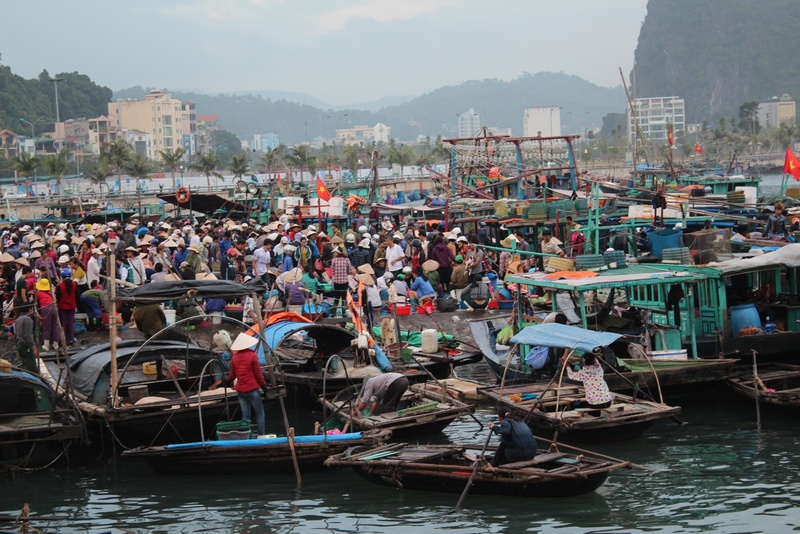 Although Halong market is quite far from Bai Chay tourist destination, it still attracts many travelers because of the fresh and abundant source of seafood. If you want to go there, you have to pass Bai Chay Bridge, Loong Toong junction. 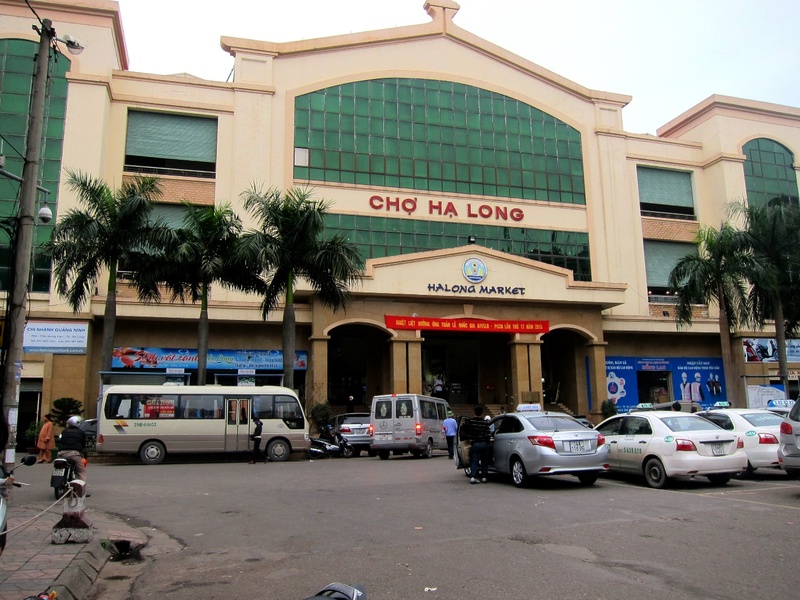 Being located in the bank of Halong Bay, this market is very spacious and crowded. It consists of 3 floors and a large outside area. All of the stores are arranged suitably for customers to find any kinds of good easily. 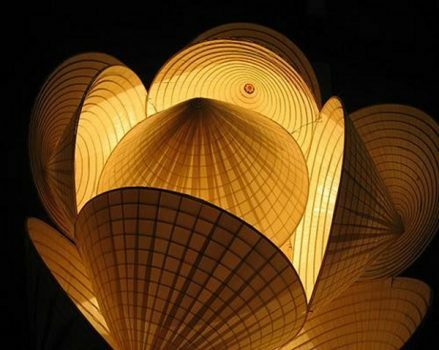 The first departments that you can see when coming here sell handicraft, cosmetic and souvenir. Therefore, if you want to buy seafood, you have to walk farther. In this market, you can buy almost kinds of fresh seafood with the acceptable price. Morning fish market starts very soon. From at about 3:00 am, some businessmen bring their seafood which they have just fished to this place. When the sun arises, many the boatloads of fish dock and are ready for a new market day. If you come here from 3:00 am to 4:00 am, you will have chance to buy seafood directly on the boats. Certainly, they will be fresher and cheaper. 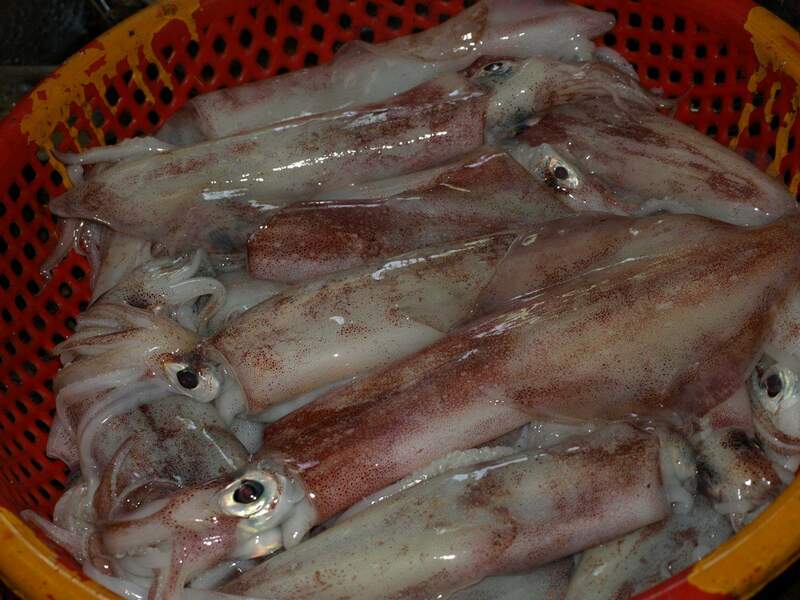 Squid is one of the most delicious seafood in Halong which is served in all restaurants and pubs. However, it is not easy for you to choose fresh squids. When buying squid, you should pay more attention to their skin color. Squids whose skin color is bright and light pink are fresh ones. Besides, fresh squids will have tough tentacles and unbroken their siphons. You shouldn’t choose squids whose skin color has changed and their bodies become mushy. -If you hold its abdomen tightly, it will stretch its legs out. 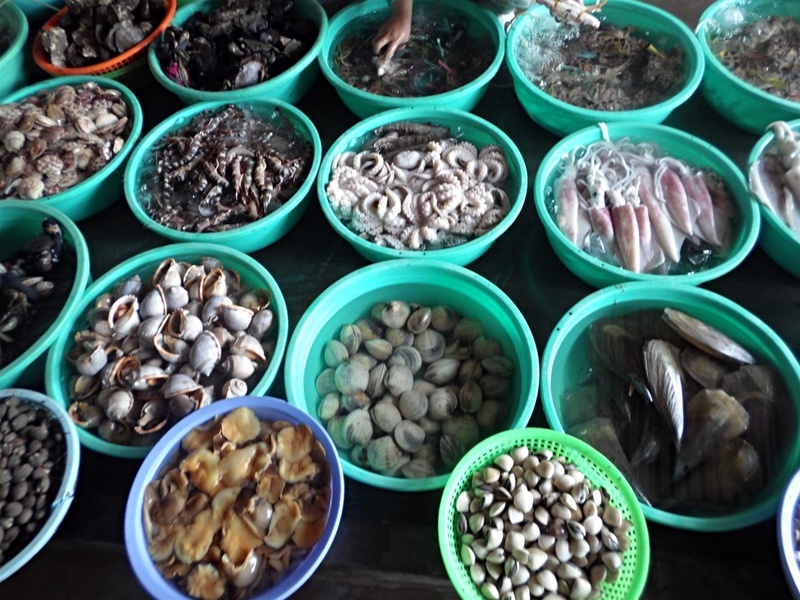 Seafood in Halong is one of the proofs for this place’s natural diversity. 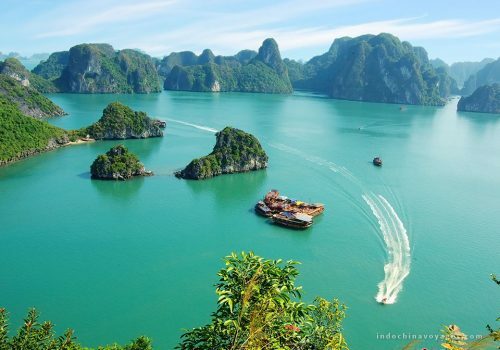 Coming to Halong Bay, besides contemplating magnificent beauty of caves, rocky mountain and romantic landscapes, tourists should spend time enjoying and choosing seafood here as the presents for your family and friends.